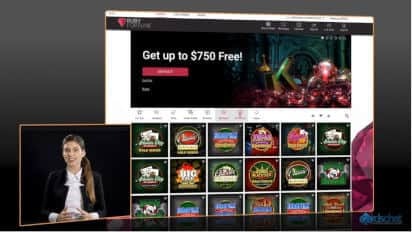 Ruby Fortune Casino Review 2019 - Bonus of €/$750 FREE! Visit Ruby Fortune Get Your $750 Bonus! Fully licensed and regulated. 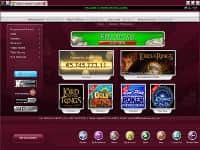 Ruby Fortune Casino holds several gambling licenses Ruby Fortune Casino promotes responsible gambling and the software is licensed and regulated by the Gambling Commission in the UK, the Malta Gaming Authority and eCogra. Safe & secure banking methods ? All legitimate, real-money online casinos like Ruby Fortune Casino have strict anti-fraud screens, and that may create a short withdrawal delay. Ruby Fortune Casino are offering a great welcome bonus. They'll match your first three deposits at 100% allowing you to earn up to $750 in bonus cash. ? The bonus applies to your first deposit only. Please read the terms and conditions carefully and make sure to take full advantage of the bonus offer. How does a savvy gambler like you pick which online casino should get your play? To help narrow down your search from the hundreds of possibilities, let’s start with a simple question. Which would you prefer-one of the newer reputable sites or a tried and true one that has maintained its loyal following over the years? If your answer is the latter, read on. Ruby Fortune Casino, established in 2003, licensed in Malta, eCogra certified, and equipped with easy-to-install software you can trust from Microgaming, could be the perfect place for you. When Ruby Fortune first came on the scene 10 years ago, it received the best new casino of the year award. Today, a decade later, the casino is still popular, so it must have more going for it than just the captivating jewel tone graphics and James Bond music. Ruby Fortune is one of several member casinos of the esteemed Palace Group. So that alone suggests that it is a first class operation. Part of this casino’s appeal has always been its combination of a plush and regal atmosphere with a welcoming, accommodating, easy to navigate playing environment. 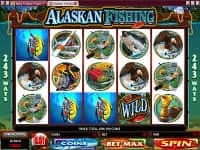 Anytime, day or night, slot players and table game players alike will have no problem funding their account and settling down into their game of choice. The choice of games-over 450, including almost every variety of 3 reel and 5 reel slot machine invented-is staggering. Ruby Fortune is also one of the casinos with designated progressive jackpot machines offering the steadily climbing Microgaming mega jackpot. In addition, all your favorite table games, including, but not limited to, blackjack, roulette, craps, and baccarat, are available whenever you want them. The variations of these games have different rules and strategies, as well as a different house edge, so take a few extra moments to familiarize yourself first. But with an average payout for all games combined of over 96%, the chances are you will not go wrong. Also, if you choose to play in the "expert mode," you get an opportunity to correct your strategy mistakes. Even if you are an experienced player, in a game like video poker, you may find yourself so caught up in the excitement of the moment, that you forget which play is optimal. So you might as well let the machine minimize your mistakes. Ruby Fortune Casino caters to a predominantly European clientele. Unfortunately, as of this writing, no one from the United States can play. Downloading the free software is quick and easy, as is depositing funds into your account. Or, if you prefer, you can play (with more limited game options) without downloading. You have many fast and secure deposit options to choose from (see accompanying list), though a few cannot be used for withdrawal. Alternatively, you can play up to an hour for free. 24 hour customer service, in your choice of languages, is available via live chat, phone, or email. Some customers have complained about delays both in timely customer service and in the withdrawal process. One heavily promoted feature at Ruby Fortune is their generous welcome bonus, up to $750 (in three installments). However, to receive this maximum bonus, not only are three initial deposits of your own totaling $2,100 necessary, so is specific play through each time. Lesser deposits without the requisite play are also subject to forfeited smaller welcome bonuses. Only slot play counts 100% toward meeting the play requirement, and the table games with the lowest house edge don’t count at all. It is important to read and understand all of the rules beforehand. Ruby Fortune Casino has an excellent loyalty recognition program. All new players from Cardschat.com receive 500 loyalty points to start and accumulate more based on play. There are also many opportunities to receive bonus points. Each 1,000 points is exchangeable for $10 in free credits. Players in the higher Loyalty Club tiers also receive special promotions, gifts, and invitations to tournaments and other special events. As if the opportunity to win megabucks isn’t enough incentive to play the progressive slots, Ruby Fortune Casino offers even more. If you’re lucky enough to win a progressive jackpot of $25,000 or more, Ruby Fortune will add an extra $1,000 to your windfall. The casino’s 10th anniversary could be the perfect time to see if you, too, can celebrate with a big win. 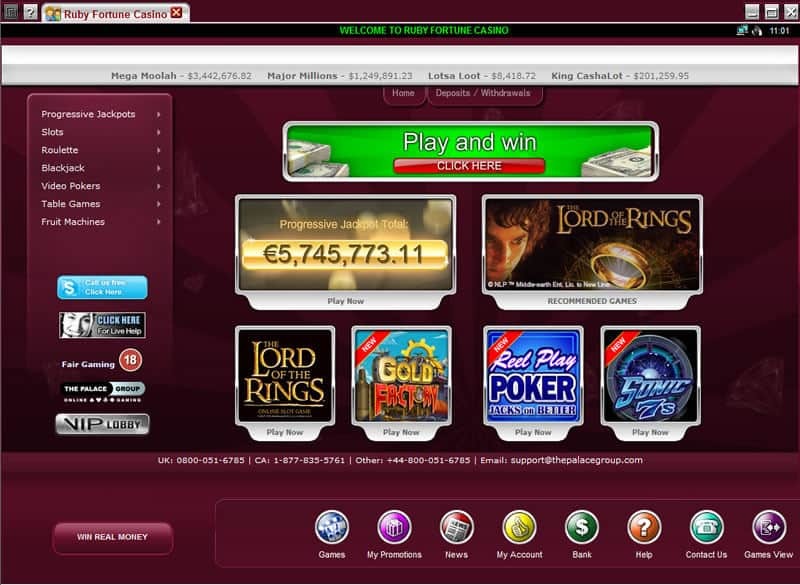 Ruby Fortune is one of the older online casinos around and it caters well for its players. It offers mobile play supported by Microgaming, a game maker that creates some of the most developed, easy to use, and good-looking games around right now. While you can play both on the website and through an app, the downloadable app offers more options and features to its players, so downloading is better, unlike with most other online casinos. Ruby Fortune’s mobile app can be used through most smart devices on the market nowadays, namely iPhones, Android smartphones and tablets, iPads, BlackBerry phones, and more. This means that whatever your device of choice is, you will still be able to access the app wherever you are, as long as you have a reliable internet connection. The mobile version does not contain all the possible games Ruby Fortune’s website has, but it will still offer you ample variation to choose from. Ruby Fortune Casino has been around for long enough to know what its visitors look for in an online casino. 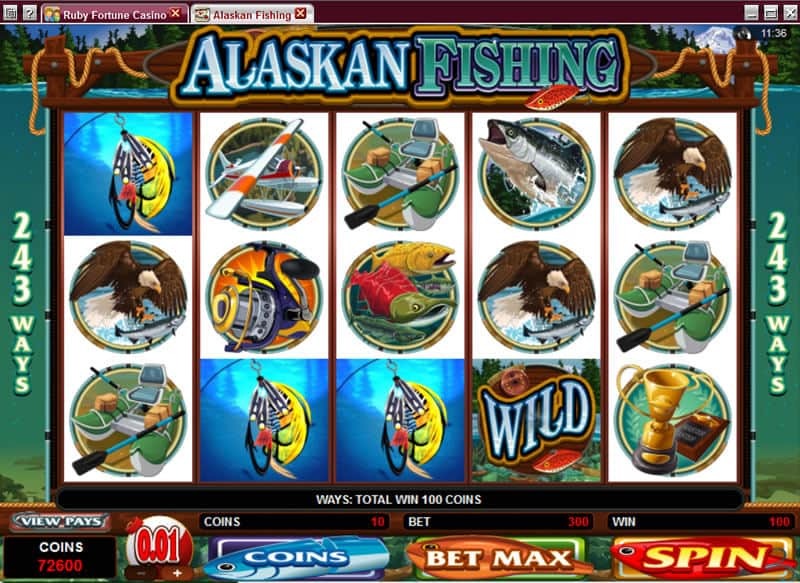 Its 500+ games and slot machines with a progressive jackpot that can get in the millions are only some of the things that attract its players and keep them playing. The stepped-up welcome bonus (which has a few conditions attached to it, so read carefully) and the free play available before your first deposit make this an excellent casino for new players. On top of all of this, Ruby Fortune has a strong loyalty program whose points can be turned into playable cash, and there are also extra bonuses on top of the winnings you make. When you add to all this the smooth-running software, multi-language 24/7 customer care service that is free to call, and the wide array of payment options, you really can’t ask for more! Join Ruby Fortune Casino and earn up to $750!